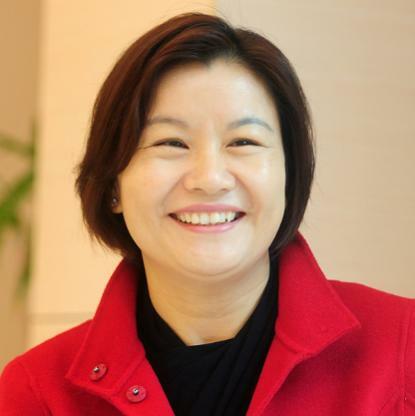 Zhou Qunfei is the richest self-made woman billionaire in the world, according to new data, after her predecessor plummeted from billions to zero when she was sued for fraud. Zhou, the 47-year-old founder of Lens Technology, which makes glass screens for iPhones, instantly became a multi-billionaire when her company went public in 2015. She is estimated to be worth $9.2 billion, found Bloomberg and reported by Time. Her company is worth around $11 billion. Her number one status replaces Elizabeth Holmes, the 33-year-old founder of healthcare tech firm Theranos, who was worth $4.5 billion but lost her cash when she was sued for fraud. Born in China, the country with the most woman billionaires in the world, she benefited from the Chinese Communist party’s commitment to gender equality which “allowed women to flourish after capitalism started to take hold”, Huang Yasheng, an MIT professor, told the New York Times. She grew up on a farm and dropped out of high school age 16. She started working on the factory floor for a watch lens company, and attended evening classes in subjects like accounting and fire safety at Shenzhen University. At the age of 22 and with a few thousand dollars, she founded her own company making watch lenses in 1993. She told the Australian Financial Review: "During the period of China's rapid economic growth, there were plenty of opportunities for entrepreneurs, including women. "It allowed me to develop my business." She added that she “didn’t regret” going into business. In the village where she grew up, she said girls did not often have a choice whether to continue their schooling, and would get married and stay in the same place for their entire lives. In 2003, after running her company for a decade, Motorola phoned Zhou and asked if she wanted to help develop a scratch-proof glass lens for its new Razr V3 phone. Orders then followed from HTC, Nokia and Samsung. In 2007, Apple launched its first iPhone, and also contacted Zhou. Five years later Zhou had factories in three cities. In 2017, it has 32 factories and employs more than 90,000 staff.